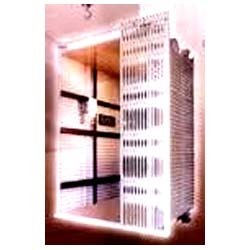 With our expertise in this domain, we are able to offer Goods Lifts. We offer our customers a wide assortment of Goods Lifts, Hydraulic Lifts and Cage Hoist Goods Lifts under this category. Advanced technologies are widely utilized by the professionals of our firm in developing the offered range. These lifts are widely used for various material handling applications like material shifting from shop floor to up stairs and maintenance work. 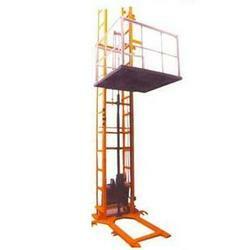 We have established ourselves as a renowned manufacturer and exporter of Cage Hoist Goods Lifts. The offered hoists are specially designed by the experts to lift the material safely. Moreover, we offer these lifts to the customers with collapsible gate and are guided by supporting guide members. Liftting material from ground floor to diffrent higher floors. With thorough knowledge of the industry, we are engaged in manufacturing and exporting Hydraulic Lifts. These are developed under the strict surveillance of our professionals following international standards. The offered lifts find their applications in garments & chemical, logistics and automobile industry. These are useful for safe lifting of material in Cheimical, Pharma Plant & other Industries. 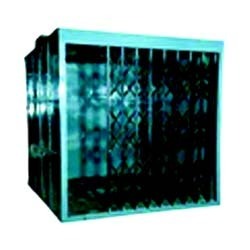 Steel fabricated cage cabin is guided by ‘'T’ guide rails on opposite sides for Smooth lifting of material goods. Collapsible floor doors are provided with electro – mechnical door locking arrangement for safety so that the cage will not move unless all the outside doors are closed properly.